There is a new rare Nintendo 64 game in town - Turok Rage Wars Gray cartridge. It sells for about $120 but has been increasing in price very quickly. This gray version of Turok Rage Wars gained notoriety in February 2012 when a seller on eBay listed 120 of them at $12.99 each. Turok Rage Wars Black cartridges have a flaw in the game that doesn't allow you to beat one of the levels on 2 player mode. To fix this bug Acclaim made a limited number of gray cartridges. People could mail back their black cartridge and receive the gray one as a replacement. This was not a well known program so only a small number of people took part. In fact, so few took advantage that the game was pretty much unknown in the collecting community until this past February. This master case of games was probably purchased from Acclaim after their bankruptcy. The exact number of copies in existence is hard to know for sure, but because it was only made for a replacement and never sold in stores this is probably the rarest of the color variants for Nintendo 64. At current prices, this Turok Rage Wars Gray would be near the top of our list of the most expensive Nintendo 64 games. We are now tracking prices for Skylanders Figures. The Skylanders Figure List is the second most popular article on our blog and many users have requested this as well. Some of the figures are quite valuable too. A Gold Prism Break given away to all Activision employees sells for $300-400, there is a pearl colored Skylander given away at a Toy Fair in Germany for $250, and even a purple Skylander given away at least years E3, which sells for $180-200. Why didn't I stop at the Skylanders Giants booth last year, doh. We have to track many of the prices manually for now, so please bear with us if the eBay component of our site does not catch every single listing. If this is successful we will look for ways to automate the pricing like every other item on the website. Dead Space 3 Dev Edition is only available on the EA online store. It will not be available at stores. EA is also selling just the items themselves without a game included for $100, which makes me believe the game will be packaged separately from the extra items. For example, if you buy the PS3 version you will get Dead Space 3 for PS3 and then the extra limited edition items. This is much easier for EA to manage logistically. They can make 5,000 of them and not need to worry about which version, PS3, 360, or PC, will be more popular and easily ship them to customers who only want the limited edition stuff. I personally think this lowers the collectible value of the package because you are basically buying a standard edition game with some limited edition memorabilia instead of buying a limited edition game package. 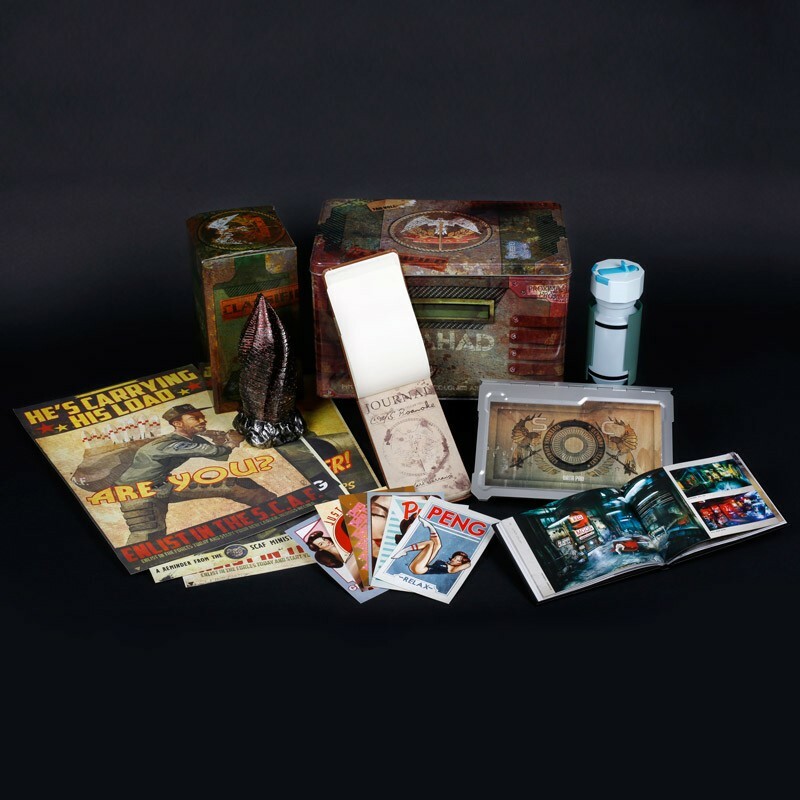 The Dead Space Ultra Limited Edition originally sold for $149 and now sells for $500 brand new. But only 1,000 of those were made and the game and limited edition items are one package. We will have to wait and see if the Dead Space 3 Dev Team Edition becomes as popular with collectors. It is probably a safe bet to at least keep its value because collector's edition games generally keep their value better than standard edition. UPDATE (Feb. 8th 2013): The Dead Space 3 Dev Team accessories are selling for about $250 now. That is 150% more than their original price.